There’s been an outbreak of cholera in your community in Mogadishu! We need your help. 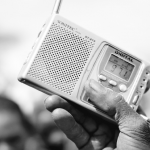 Listen to our radio shows..
Part of Africa’s Voices’ core mission is to spark engaging and inclusive conversation that challenge norms and behaviours. 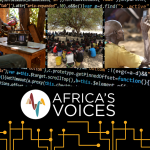 In line with..
Africa’s Voices 2018 Impact Overview What does it take to create a organisation that truly listens to citizens, an organisation..
Africa’s Voices is proud to share the news that our innovative accountability to affected populations (AAP) intervention in partnership with.. This year, AVF is participating in The Big Give’s Christmas Challenge, the UK’s largest online match-funding campaign. 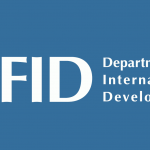 We would like..
With a regional community of practitioners, including academics and experts, Dr. Sharath Srinivasan discussed innovative solutions to filling the evidence..
Last week, we were invited to DFID to lead a ‘DEVtalk’ — a seminar for their global team on initiatives..
Africa’s Voices researcher, Rita Zagoni, recently attended ‘Data Science Africa 2017’ in Arusha, Tanzania. The conference aims to encourage African..